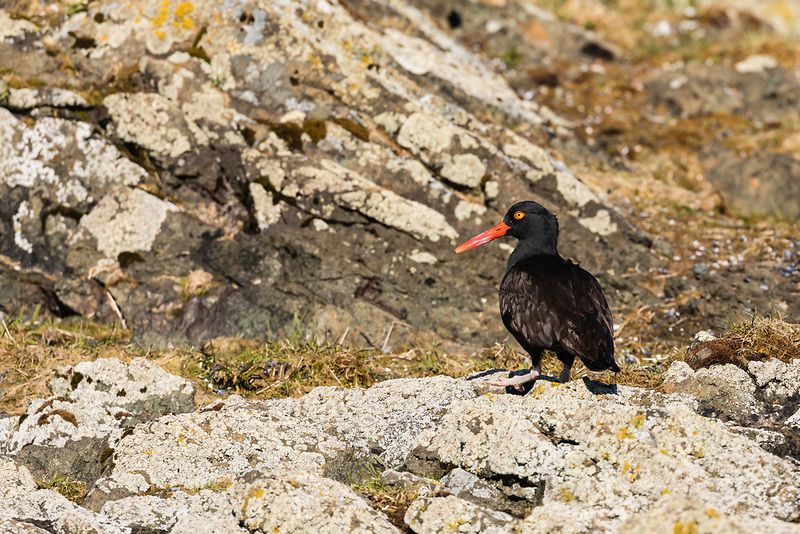 Black Oystercatcher (Haematopus bachmani) foraging on rock in Copper River Delta in Southcentral Alaska. Spring. Morning.